Q: My friend in Birmingham recently told me about a disease affecting her boxwood shrubs called boxwood blight. From what I’ve read this is a new disease in Alabama. I don’t think my boxwoods are sick yet but what do I need to keep an eye out for? And most importantly, what can I do if they do get sick? A: Your friend is right and not just trying to pull your limb. There is, in fact, a new disease in town, and it’s bad news for boxwoods. Boxwood blight is a fungal disease that was discovered in Alabama after our cool, wet spring last year. It’s new to Alabama but it’s been getting around other Southeastern states for several years; it was really only a matter of time before it got here. Although it’s not yet widespread in South Alabama, it’s important to be on the lookout for symptoms of this disease in your landscape. (Photo | Courtesy of the ACES) Symptoms of boxwood blight include circular, tan leaf spots with darker borders that may develop a bulls-eye appearance. If you haven’t purchased new boxwood plants in a few years, you likely do not have to worry about boxwood blight. 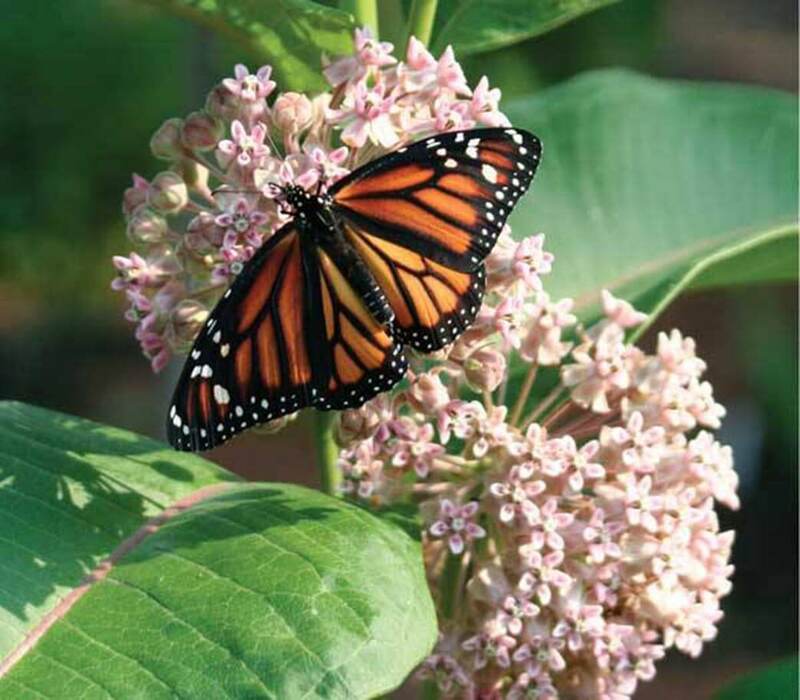 But if you’ve recently purchased new shrubs, even established boxwoods could be in danger if the new plants were infected. Like a cold in a kindergarten classroom, this fungal disease can spread in a number of ways. Splashing water, whether irrigation or rain, equipment, soil, shoes, clothing and even animals can aid in the dispersal of this disease. 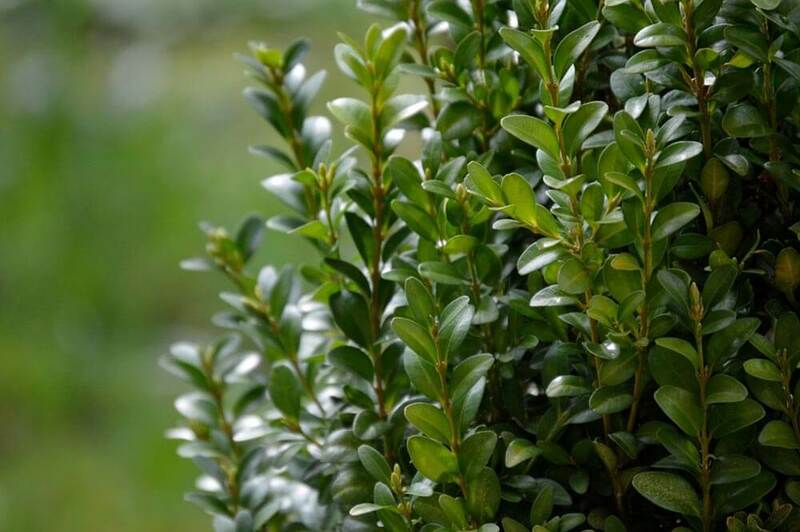 Inspect all boxwoods in your landscape for symptoms of boxwood blight, which include circular, tan leaf spots with darker borders that may develop a bulls-eye appearance. Infected leaves will turn brown and rapidly drop from the plant. Boxwoods that are suddenly naked, with their clothes (leaves) scattered around the base, is another important symptom to be aware of. Even if defoliated stems start putting on new growth, do not be fooled! You’ll likely notice that the leaf spots soon return and leaves will drop again. Infected stems will eventually start to develop dark brown or black thin lesions (think sores) or streaks that are also unique to boxwood blight. So what can you do? Well, unfortunately, once boxwoods are infected with this blight there is no cure, as is the case with many fungal plant diseases. An ounce of prevention is worth a pound of cure, though! • Buyer beware! Carefully inspect new plants for symptoms. • Use drip irrigation, rather than overhead sprinkler irrigation. Remember, splashing water can easily spread boxwood blight. • Improve air circulation around plants through proper pruning and plant spacing. Avoid shearing plants. • Don’t compost infected leaves or other boxwood plant material. • Clean and sterilize pruning/shearing tools between uses to prevent the spread of the pathogen on contaminated tools. Bleach wipes are convenient products for this task. • If you find an infected plant (naked stems with sores are pretty noticeable), remove the entire plant, place in a plastic bag,and dispose of. Also, carefully rake up and dispose of all fallen leaves. The pathogen can live on infected leaves for up to five years! YIKES! 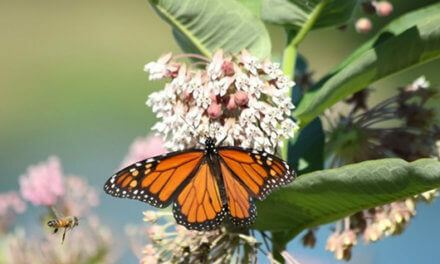 • While fungicides won’t cure plants, they can be used to protect landscape plants from the disease. The most effective fungicides contain these active ingredients: chlorothalonil, chlorothalonil + thiophanate-methyl and tebuconazole. 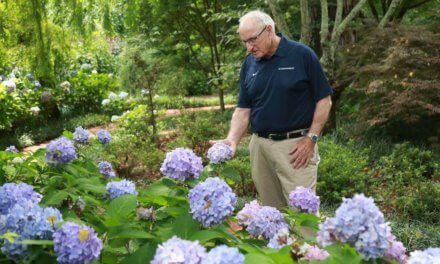 Use these products on established plants if you see disease symptoms on new boxwoods, or if your neighbor’s boxwoods fall prey. • Use resistant boxwood cultivars. Buxus harlandii, Buxus microphylla var. japonica “Green Beauty” and Buxus sinica var. insularis “Nana” are some of the cultivars with good resistance to boxwood blight. • Think outside the boxwood! Consider other plants like rosemary, box-leaf euonymous, sweet box in shady spots and Japanese hollies. Looking for any wacky activity happening with your boxwoods and following the steps listed above can greatly reduce the distribution of boxwood blight throughout coastal Alabama and the rest of our state. If you do suspect that one or more of your boxwoods are showing symptoms, please consult with me (Ellen Huckabay) at the Mobile Extension Office, 251-574-8445. 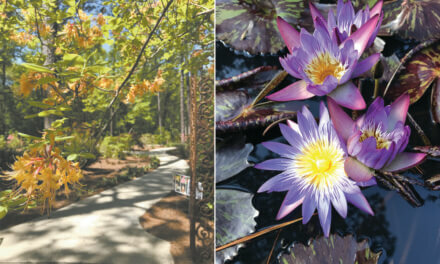 When: March 21, noon to 1 p.m.
Master Gardener Helpline: 1-877-252-4769, or send your gardening questions to coastalalabamagardening@gmail.com.